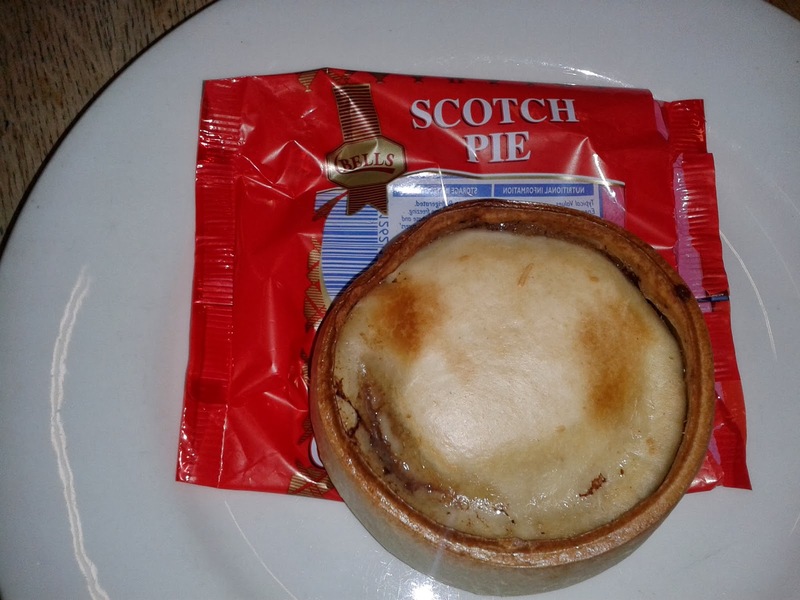 In order to produce our list of the best Scotch Pies we have travelled around to try the most highly recommended Scotch pies. But really Scotch pies are available everywhere in supermarkets across the UK and it seems appropriate to also consider some of these more common, mass produced options. At the very least it will give us something to gauge against. The most popular brand in UK supermarkets seems to be Bells Scotch Pies. They claim to be one of the best-selling Scotch pies in the world, with 3 out of 4 shoppers in Scotland buying Bells each year. Surely that means they must be good!? I grabbed an individual Scotch pie from a Scotmid Co-op for the princely sum of 79p. This is a pretty standard price for Scotch pies but you can get them cheaper from local bakeries. Upon taking it out of the oven it smelt pretty good, a classic Scotch pie smell. However it seemed quite flaccid whereas Scotch pie cases normally have a bit of ridgidity. Cutting into it there was no Crunch at all which you want with a Scotch pie. Without the crunchy pastry the whole thing is just a bit too mushy for my liking and that is exactly what happened here. The pastry was too thick which meant it was too doughy despite it having been cooked for the recommended time. The Capacity wasn't great, the characteristic Scotch pie rim at the top had been extended too far this time. I could not help but think this was to save on filling. Hence the optimum pastry to filling ratio was lost. The filling was okay. The main good thing I would say was that the mince beef wasn’t too fatty. 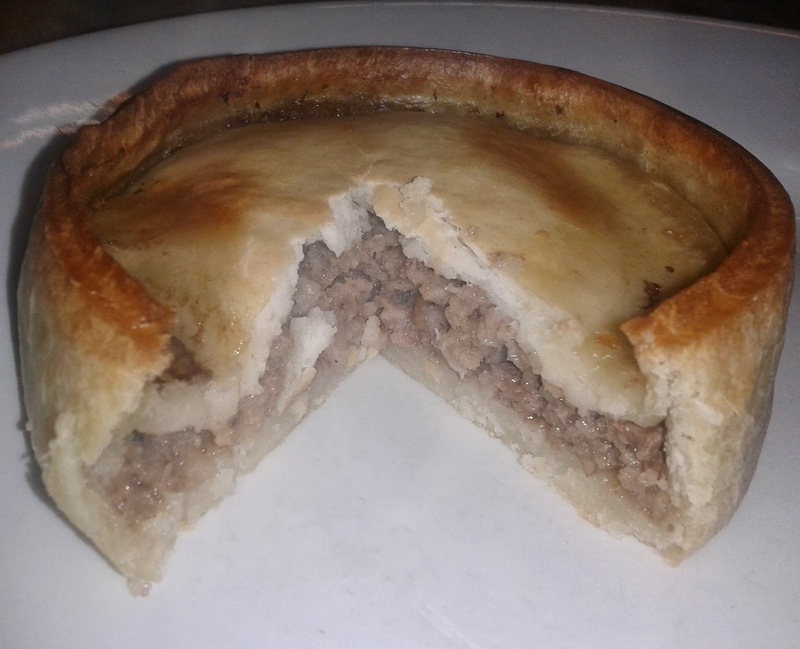 A bit of fat is needed with a Scotch pie to keep it moist, this pie got the balance about right. However the seasoning was really lacking. Normally a Scotch pie will have a peppery taste but the main seasoning I picked up with the Bells pie was salt. Overall there wasn’t much that was good about this pie. I am not quite sure why you would want to buy it, even if it is one of the few choices of Scotch pie outside of Scotland. I guess if it was covered in mash, gravy etc then the blandness might not notice. Quite disappointing, perhaps it is just not that easy to mass produce Scotch pies that taste good. Do tell us if you know of any better alternatives, especially outside of Scotland. We've already reviewed a range of Scotch Pies. See where this pie ended up in the Pierate Pie Rankings or find other pies of a similar flavour.